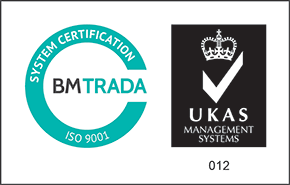 You are here: Home / led blog / Company News / What is UGR and why is it important? Short for Unified Glare Rating (UGR) is the measurement of calculating glare from luminaires. It is important to achieve the correct level of lighting for your environment to ensure employees and/or visitors have clear visibility. UGR values are based on regular patterns and fittings according to European indoor lighting recommendations EN 12464-1 standard. A lower UGR rating means low glare. 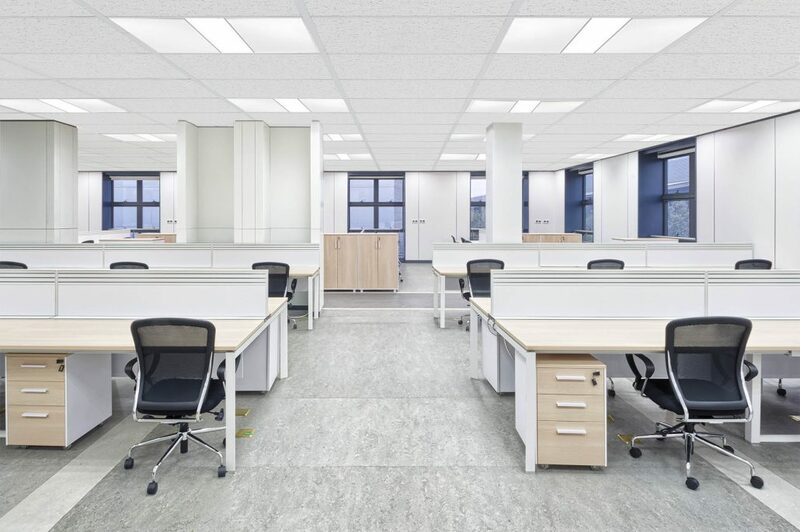 For office lighting, we recommend a UGR level of 16 to 19, ensuring comfortable workplace illumination. 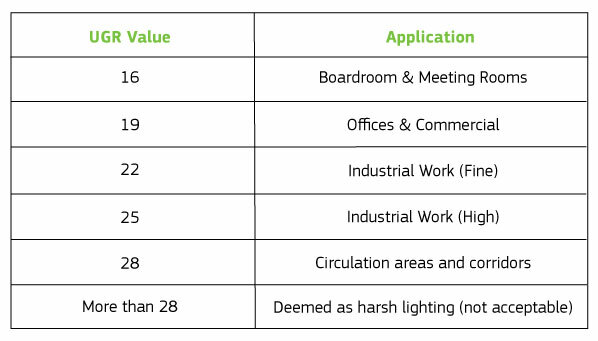 For industrial environments, UGR levels of 22 to 25 are ideal. For the guidance on UGR levels, please see the table below. Anything higher than UGR>28 is considered bad practice. There are a number of factors that determine UGR value including shape and size of space, surface brightness of the walls, ceiling, floor and large areas. It is important to choose the correct luminaire for your environment to avoid discomfort. 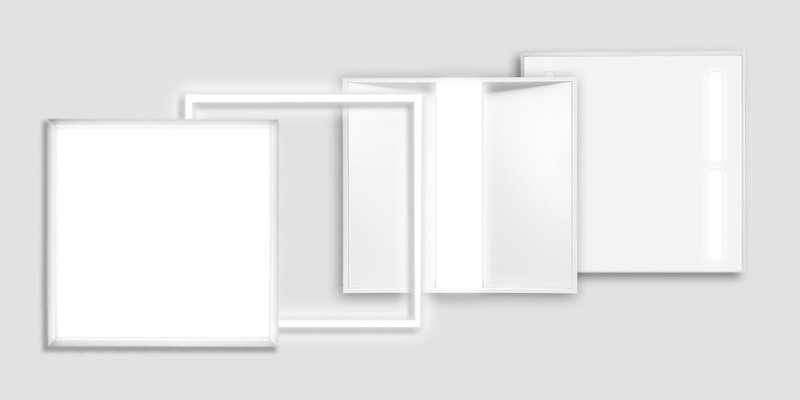 Our range of Goodlight LED Ceiling Panels offer incredible UGR levels of <19. To see the full range, visit here. Tags: All Goodlights LED Lights have UGR, Arc (up/down) panel designed for interior lighting, Arc LED Panel, Arc LED Panel designed for meeting room interiors, Arc LED Panel designed for office interior lighting, Arc LED Panel recommended for boardroom interior lighting, Arc Up/Down LED Panel, Boardroom LED lighting, Commerical LED Lighting, Corridor LED Lighting, Eco LED Panel recommended for boardroom interior lighting, Goodlight LED Ceiling panels, Goodlight LED Lighting and UGR Levels, Goodlight LED Lighting for office LED lighting, Goodlight LED Lighting installed in Meeting room interiors, Goodlight LED Lighting installed in office interiors, Goodlight LED Lighting is recommended for corridor lighting, Goodlight LED Lighting recommended for circulation area lighting, Goodlight LED lights, Goodlight LED Lights are low glare lights, Goodlight LED Lights for circulation interiors, Goodlight LED Lights installed in Boardrooms, Goodlight LED Lights installed in commercial interiors, Goodlight LED Lights installed in Meeting rooms, Goodlight LED Lights installed into Boardroom interiors, Goodlight LED Lights recommended for industrial exterior lighting, Goodlight LED Lights recommended for industrial interior lighting, Goodlight LED Lights recommended for Industrial working environments, Goodlight Luxe II LED Panel recommended for circulation area lighting, Goodlight Luxe II LED Panel recommended for commercial interior lighting, Goodlight Luxe II LED Panel recommended for corridor lighting, Goodlight Luxe II LED Panel recommended for meeting room interior lighting, Goodlight Luxe II LED Panel recommended for office interior lighting, Goodlight Vertex LED Panel, Goodlight Vertex LED Panel designed for boardroom interior lighting, Goodlight Vertex LED Panel designed for boardroom lighting, Goodlight Vertex LED Panel designed for circulation area interior lighting, Goodlight Vertex LED Panel designed for circulation area lighting, Goodlight Vertex LED Panel designed for commercial interior lighting, Goodlight Vertex LED Panel designed for commercial lighting, Goodlight Vertex LED Panel designed for corridor, Goodlight Vertex LED Panel designed for corridor lighting, Goodlight Vertex LED Panel designed for meeting room interior lighting, Goodlight Vertex LED Panel designed for meeting room lighting, Goodlight Vertex LED Panel designed for office interior lighting, Goodlight Vertex LED Panel designed for office lighting, Goodlights Arc LED Panel designed for circulation interiors, Goodlights Arc LED Panel designed for commercial interior lighting, Goodlights Arc LED Panel designed for corridor lighting, Goodlights Arc LED Panel designed for office interiors, Goodlights products are low glare, Goodlights products produce low glare light, Industrial work, LED Eco Panel, LED Eco Panel designed for interior lighting, LED Lighting, LED Lighting designed for industrial interior and exterior lighting, LED Lighting for Boardrooms, LED Lighting for circulation lighting, LED Lighting for commercial interiors, LED Lighting for corridors, LED lighting for meeting rooms, LED lighting for offices, LED Luxe Panel designed for interior lighting, Luxe II LED Panel, Meeting Room LED Lighting, Office LED Lighting, Recommended LED lighting for corridors, Recommended LED Lighting for industrial working environments, UGR Levels, UGR Rating means low glare, UGR Value, Unified Glare Rating, Up/Down LED Panel, Vertex LED Panel, What is UGR and why is it important?, What is UGR?, Why is UGR important?